Lawyer Checker’s Business Development Executive, Tom Lyes, has a track record of recognising opportunities which go beyond customer expectation and has significant experience in client account management. Having worked for a leading law firm for over six years, Tom has accumulated a wealth of specialist knowledge and awareness of the conveyancing market and transactional processes. During his time at the firm Tom saw huge changes in both the market and in the adoption of a more technological approach to business. This experience provided Tom with practical insight into the inner processes of a law firm. In his role he continually develops further key business relationships whilst promoting client objectives and growth, predominantly working with law firms in the North of England. Below, Tom talks about where Lawyer Checker sits within the marketplace, the services and products it provides to law firms, what added value Lawyer Checker brings to clients, what potential new products are on the horizon and Lawyer Checker’s future aspirations…. Where does Lawyer Checker see itself in the legal market? Lawyer Checker sees itself as a business that cares for and protects law firms. We are committed to being proactive when it comes to caring for our clients and getting them onto a platform where they are safer. Our intelligence and data combined with information and knowledge we have collected over many years allows us to identify market weaknesses and failures in the legal sector. We create solutions and opportunities using technology, and products and services that solve these issues by educating and protecting lawyers. 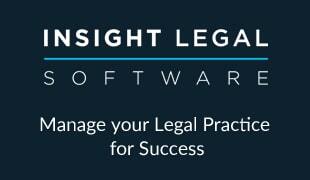 We don’t just work with law firms we also work with search providers and software providers to the legal sector. What are the services/products Lawyer Checker provide to law firms? 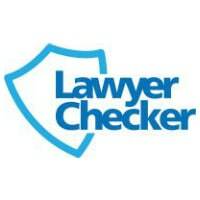 Lawyer Checker have three products, our core product is what we call ‘Account & Entity Screen’, our clients often refer to this as their ‘Lawyer Checker Search’ but we also have Consumer Bank Account Checker and OnDMARC. Account & Entity Screen has been running for over 6 years now, during those years we have carried out over 600,000 searches. The product is designed to protect law firms from fraud and cyber crime when sending money to another solicitor. We know there are different ways of managing risk, however, we strongly believe that Account & Entity Screen provides the most robust layer of protection to conveyancers when fighting fraud and cyber crime. There are two elements to Lawyer Checker Search, the first being whether the account you searched against has a track record of successful usage within conveyancing. What we aim to do here is to provide you with the appropriate information for you to make an informed decision as to whether you send the money to the firm in question. 85% of searches are returned immediately with a Frequent result. A Frequent result is effectively a ‘thumbs up’ from us. If your result is infrequent or unknown we recognise that you need more information to make an informed decision on the risk. Our team will therefore conduct further research checks on 12 conveyancing related databases to build a report on the firm which has been searched against. The idea behind our further research reports is to provide clear information to help you make an informed decision as to whether to send the money. The second element of a Lawyer Checker Search is to provide important enhanced due diligence information. Every morning our system communicates with the SRA system so that any notices on any firms or individuals are automatically attached to your results. This information is real time data. When doing a Lawyer Checker Search early in the transaction the enhanced due diligence information we can provide you can form an important part of your risk management processes. We also have Consumer Bank Account Checker. This product enables law firms to implement a key layer of protection when sending money directly to clients. The search will confirm whether the bank account you are sending the money to belongs directly to the client that you are representing. The search will grade the personal details registered against the account such as name, address and date of birth and will provide you a score to confirm the accuracy of those details held on the clients’ account. We have partnered with Experian for this and have seen considerable growth in law firms implementing this layer of protection over the last six months. Earlier this year we also launched a product called OnDMARC. The reason we decided to do this was because of the rise in email modification fraud across the legal sector. This is backed up by the SRA’s most recent risk update which confirms that 70% of all cyber crime reports to the SRA are because of email modification fraud. The risk of fraud via email deception is growing rapidly as cyber criminals become more sophisticated in the way that they target firms. Our product helps protect a firm’s exact email domain from impersonation using a protocol called DMARC. The DMARC protocol is recommended by the National Cyber Security Centre. The protocol works by correctly configuring two existing emails security protocols called SPF and DKIM. The product we have can help what is normally a very complex and time exhausting process considerably easier. We are experienced in configuring this protocol for law firms. Although there is no silver bullet against this type of fraud, DMARC is widely seen as the most robust layer of protection you can have to protect yourself against this. What value can Lawyer Checker add to clients? We can add value in several ways to our clients. The main value that we can add is that we help firms implement robust layers of protection against fraud and cyber crime. This can benefit firms by potentially reducing PII premiums, lessening complaints, creating a culture of cyber crime awareness and doing so on a cost effective basis. The Legal Ombudsman recently confirmed they are seeing an increase in complaints because of fraud and cyber crime. Earlier this Autumn they released guidance notes for firms on this subject. By working with Lawyer Checker and implementing our layers you will be in a strong position when it comes to protecting your clients. This will reduce the chances of complaints. Creating a culture of fighting fraud and cyber crime, needs the buy in of all staff from a reception to post completion. When carrying out training to firms we will try and drive this message and help you create this culture. By engaging with Lawyer Checker you are insuring that you are working with a business that really cares about protecting its clients. As fraud and cyber crime will no doubt evolve within our sector within the next couple of years it is crucial that we move with these changes. Therefore, by working alongside us you can ensure you will be in a strong position to adapt to new threats as and when they penetrate the sector. Are there any new products on the horizon to help law firms? Next year we will be able to offer firms support with ISO 27001 and cyber essentials certification. We see this as an important step when it comes to helping protect our firms. These certifications offer a great framework for firms to help protect them and are a vital step in creating the culture that I spoke about earlier. Furthermore, part of our service portfolio, we are also able to conduct independent security assessments of firms’ infrastructure and/or websites. We spoke earlier about OnDMARC this is still a fairly new product within the Lawyer Checker suite and we are still raising awareness of this layer to law firms. Behind the scenes our MD is continually trying to evolve the way that we protect firms by looking at new products that can help fight areas of weakness that fraudsters and cyber criminals can target. What are Lawyer Checker’s future aspirations? We want firms to consider us as their trusted ally when it comes to fighting fraud and cyber crime. I think it is important that we continue to educate and create awareness across the sector as cyber criminals and fraudsters are not going away any time soon. A key part of this message is that we can work alongside firms of all sizes. Cyber criminals target those that are weak over the next few years we want to make the weak stronger. As technology within the legal sector evolves over the next five years it is crucial that we ride that wave of change. To that extent we have invested in Thirdfort, a legal tech company looking to revolutionise the home buying process and transfer of funds using technology.